Special Offer: Mention KidsLinked and save $25 off a birthday party! The Glass Slipper is located in a quaint 100+ year old Victorian home in Historic Downtown Powell and has been serving families in Central Ohio for 14 years. 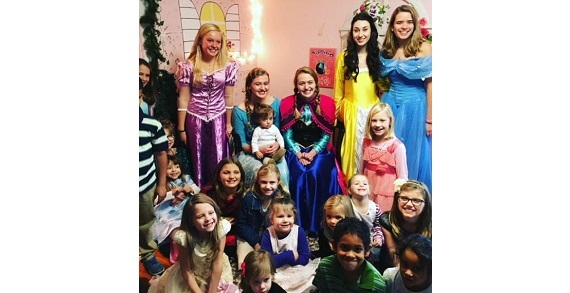 Schedule your child's birthday party or come join The Glass Slipper for one of its summer camps. Call or visit the website to register! During the week party times vary. Please call for more details. Looking for an awesome place to have your child's birthday party? Don't risk having it outside with this crazy Ohio weather. The Glass Slipper has availability in June, July and August for children's birthday tea parties, bridal shower teas, baby showers teas or a special occasion tea! 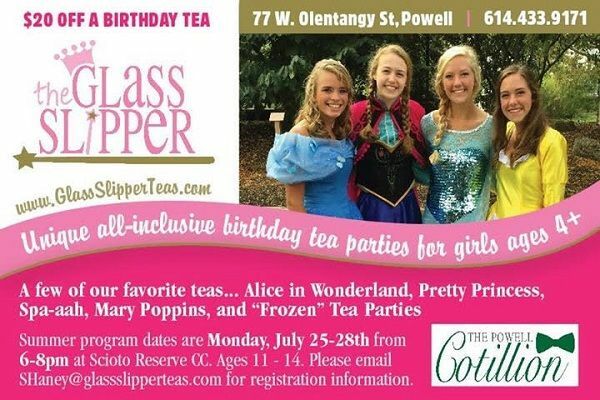 Reservations can be made online at http://www.supersaas.com/schedule/glassslipperteas/Party or call/email Stacey Haney at 614-433-9171 or shaney@glassslipperteas.com. P.S. The Glass Slipper parties are all inclusive so you do not need to bring anything! P.P.S. The Glass Slipper building has A/C!